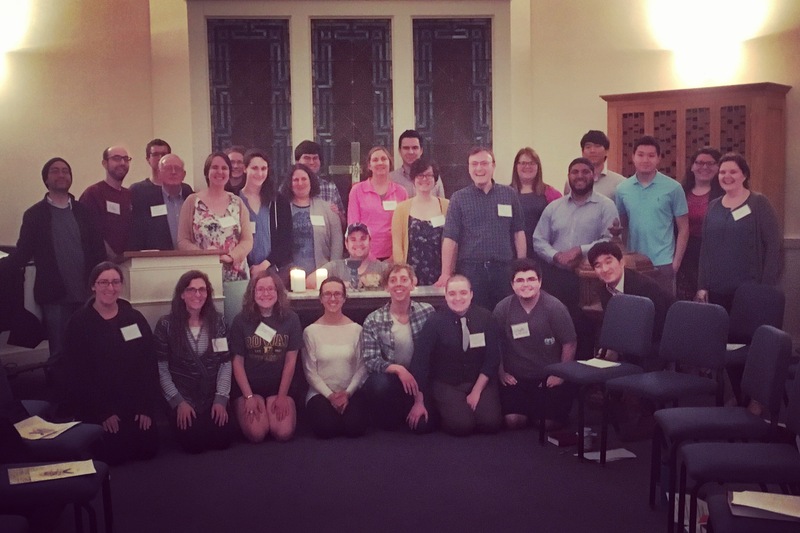 Princeton Presbyterians is a community of undergraduate and graduate students who gather weekly for worship at Breaking Bread and enjoy fellowship, retreats, and mission opportunities. We invite you to learn more and get in touch with us. Breaking Bread is a Sunday evening worship service that gathers students and young adults in Princeton. People of all ages and life stages are welcome to join. Come as you are to Jesus’ table, Sundays at 6:30 p.m. in Niles Chapel during the academic year. Visit princetonpresbys.org below for more information about the Princeton Presbyterian student fellowship. We welcome all students in the Princeton area. Most of us are Princeton University undergraduate and graduate students, Westminster Choir College students, or Princeton Theological Seminary students.